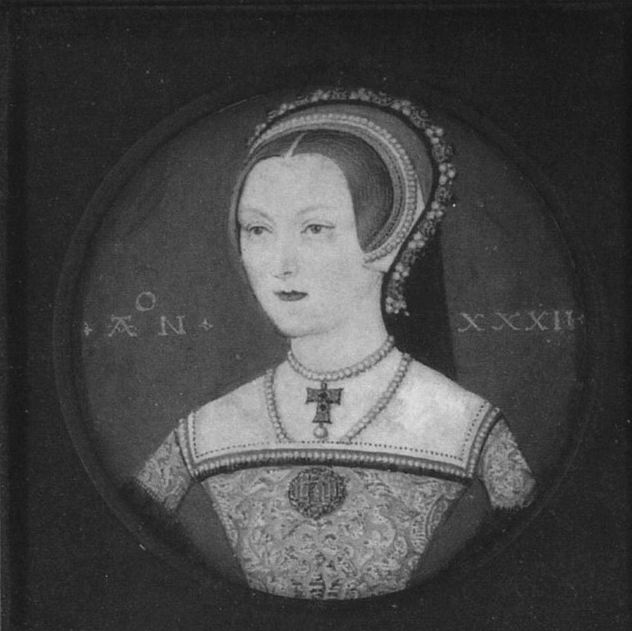 Miniature of Katherine Parr by an unknown artist, c.1544. The miniature gives Katherine’s age as 32. By the time the miniature was painted Katherine was queen, having married Henry VIII on 12th July 1543. The tau cross she wears belonged to Jane Seymour, Henry VIII’s third wife; after her death in 1537 the item was passed on to his subsequent wives, along with the rest of the queen’s jewels. I believe the miniature is currently held at Sudeley Castle, which also houses a miniature of Jane Seymour (in which she is depicted wearing the cross).